Good news for Londoners and bad for the non-Londoners!! The Thames Olympic cable car, 'the Emirates Air Line, is likely to be opened to 'all' on 28th June - but with a clear distinction. While the Londoners will have a concessional fare, non-Londoners will have to pay hefty £5 for five-minute trip. 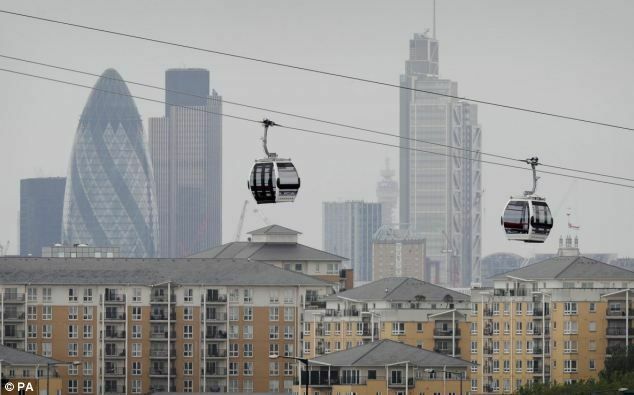 The Transport for London authorities also add that it will cost some spectators as much as £16 to buy tickets for the 1.1km river crossing on the £50m cable car. The frequent flyer ticket gives tourists 10 journeys at the cost of £16. The Emirates Air Line will link between the 02 Arena in Greenwich and the ExCel exhibition centre, carrying 2,500 people an hour. The Emirates-sponsored transport will be the first urban cable car system of its kind in the UK. So if you are going to London to watch the Olympic games, you certainly will be at a disadvantage as compared to the Londoners - but then you are a foriengenr. Aren't you?